At 9.30 on the morning of Thursday 19 August 1915 the White Star Liner Arabic sailing from Liverpool for New York was torpedoed by the German submarine U-24 off Fastnet lighthouse, four miles south-west of Ireland. As in the case of the Lusitania, no warning was given by the enemy vessel and within eleven minutes the ship had sunk. There were 423 people on board, 244 cabin and 48 third class passengers, mainly women and children who were going to join their husbands in Canada, and 242 crew. However in contrast to the Lusitania there were only 44 fatalities of whom only three were passengers. There were no guns or ammunition on board. The Arabic left Liverpool on the afternoon of Wednesday 18 August. 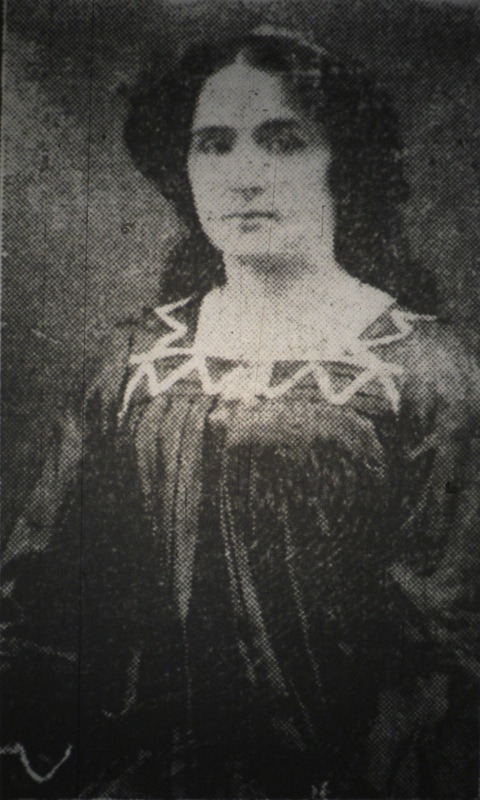 One of the passengers on board was Miss Ellen Melia, aged 21, who lived with her sister and brother-in-law at 21, Canterbury Street, Higginshaw, and was going out to live with friends and relatives in the States. She had had her breakfast and went down to her cabin, and was there when another lady came and spoke to her and said they were passing a ship which had been torpedoed. This was the Dunsley. She looked through the port hole and went up on deck to get a view of the wreck and she had not been there three minutes when one of the stewards, standing by here said: ‘My God, we are hit. We are done for,’ and he indicated the line of the water along which a torpedo was speeding to the ship. It travelled at a great rate and struck the vessel. She went round to the other side of the ship where the lifebelts were all laid out in order, and a steward fixed a lifebelt round her, and she got into No. 9 boat. The women and children were put into the boats first, and everything was done in an orderly manner. She was nearly the last to get into the boat, though one man was put in afterwards, who had had his head terribly cut, apparently by the explosion. There were about 30 in the boat, which was manned by members of the crew. The sea was beautifully calm and with no wind, or it would not have been possible, she thought, to get the boats away so well. She became seasick with the rocking of the boat, and was in a sickly condition until they were picked up. She saw the Arabic when it was standing almost perpendicular, but she did not see it sink…Their boat was in the water four hours…when they were transferred to a warship and taken on to Queenstown, which they reached about seven o’clock on Thursday night…. On arrival in Queenstown…they were taken to hotels…She shared a bed with Miss Roy Duncan, an actress, who had lost all her money and possessions in the wreck. Miss Melia’s greatest regret was the loss of two photographs of her brother, who had been killed in the Dardanelles. She had also purchased plenty of new clothes before starting on her journey…and all went down with the ship…She further observed that she wasn’t hard-hearted as a rule, but the loss of her only brother at the Dardanelles and this latest event, made her feel wild enough to do anything at the Germans. Undeterred Ellen Melia finally arrived in New York on 14 August 1915 on the St Louis. The ship’s manifest described her as a ‘Governess’. The attack on the Arabic, coupled with the sinking of the Lusitania, created a diplomatic crisis between Germany and the United States that was somewhat defused when Germany issued the Arabic Pledge. On 28 August 1915 orders were issued to submarine commanders stating that passenger ships could only be sunk after warning and the saving of passengers and crews. This blog post was written by Sandra Radcliffe from Oldham Local Studies & Archives. That was a really interesting post. I didn’t know about the Arabic. I live only a few mile from Cobh, where a lot of the bodies and survivors were brought ashore when the Lusitania went down. There is lovely monument in the town in remembrance of the tragedy.